A 44-year-old Alabama father and husband with 16 years of experience. A 22-year-old California woman just weeks into the job. Seven law enforcement officers were killed in the United States in the first two weeks of this year — representing “seven shattered families, seven local communities that are grieving and seven work forces grieving and trying to compensate for having lost an officer,” said Steve Groeninger, a spokesman for the National Law Enforcement Officers Memorial Fund. But Groeninger said that statistic is, unfortunately, not unusual. Four officers died in the first two weeks of 2018, half as many as the eight fatalities over that period in 2017, he said. In 2016, only one officer was lost in that time. Some of these seven killings were especially brutal. 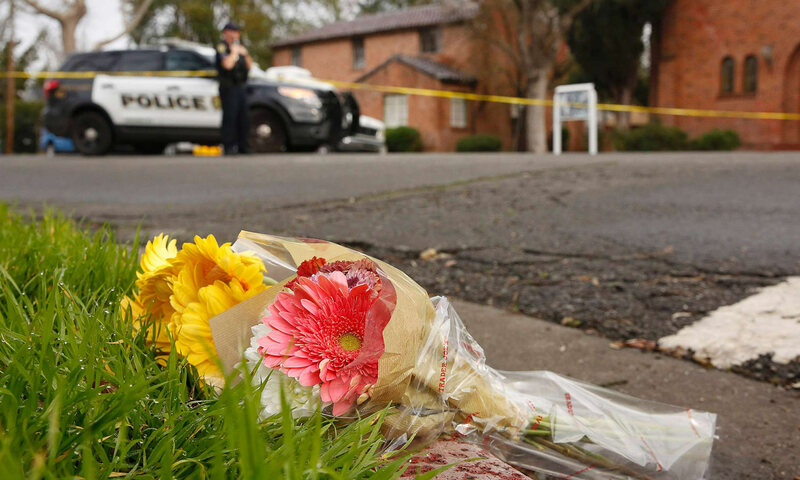 When 22-year-old Davis, California, police officer Natalie Corona was ambushed and shot dead on Jan. 10, the shooter unloaded an entire magazine, even after she had fallen to the ground, according to police. In Arizona, the killing of a Salt River Police officer appears to have been accidental. Officer Clayton Townsend, a young father, was conducting a traffic stop on Jan. 8 when he was struck and killed by a distracted driver who was allegedly texting, according to Arizona Department of Public Safety officials. And in Louisiana, the Jan. 9 slaying of Shreveport police officer Chateri Payne appears to have been unrelated to her profession. Payne was in uniform, heading to work before the start of her shift, when she was shot dead, allegedly by her live-in boyfriend, authorities said Wednesday. Payne, a 22-year-old mother, had been working as an officer for less than two months at the time of her death. “We may never know whether Officer Payne’s chosen profession contributed to her death, but we do know a uniformed police officer was killed moments before beginning her shift,” Shreveport Police Chief Ben Raymond said. The seventh fatality of the year came Sunday morning when Birmingham police Sgt. Wytasha Carter was gunned down while responding to car burglaries. The slain sergeant was a 44-year-old father and husband. A “natural-born leader,” he had 16 years of law enforcement experience, Birmingham Police Chief Patrick Smith told reporters Sunday with tears in his eyes. Hours after Carter was killed, police chiefs voiced their outrage over the growing fatalities. “The level of violence directed at the police in the first few days of 2019 is alarming,” Arlington, Texas, police chief Will Johnson tweeted Sunday. That, combined with the fact that the overall number of law enforcement deaths in 2018 increased from 2017, has left officers “very concerned about the impact that this trend will have on police officer safety and mental health,” Cohen said. “The challenge here is that if you’re operating in an environment where you know that acts of violence against police officers have increased, you’re going to respond to day-to-day situations in a more cautious, and maybe even reactive, way,” Cohen said.